My name is John Morris. Current location is Bellevue, WA, a suburb of Seattle. I got my first ham ticket in 1964 as WN9OGX. I was only 14 at the time and a high school freshman in Pontiac, IL. After a great first year as a novice, several of my neighbor friends, who also had an interest in electronics, and I went to Chicago to take our General class tickets. All of us failed the theory. Within a month, we were back in the “windy city” and the rest, as they say, is history. I became WA9OGX. I owe my interest in Ham Radio to my high school freshman Algebra teacher, Ted Voss, K9QOF (SK). One day he brought to his class a Hallicrafters T.O. Keyer. (the purpose slips me now) Wow, that was “cool”. He invited all interested parties over to his house to look at his station. 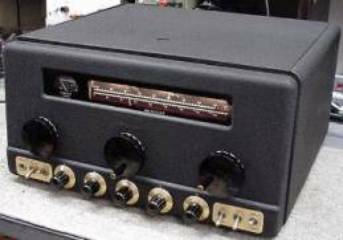 It was the image of the filaments of his DX-100B and HQ-170 that motivated my friends and I to get into Ham Radio. In those early years, my first rig was a Knight T-150 and R-100A. They worked fine on CW but … well, you know. In the spring of 1966 or 67, I made a deal with my dad (half of the upcoming summer’s earnings) to get into the new SSB era. We bought one of the first Swan 350’s from AES in Milwaukee, WI. With that and a three element Hornet beam, I worked the world and lined the wall with QSL’s. I then started playing with amplifiers and built my first rf amp, a single 4-1000 running a lot of voltage on the plate… The power supply used a pair of 872’s so the shack glowed purple a lot. At 16 yrs old, I was having the time of my life. Then college came and ham radio took a hiatus. After graduating from college from the University of Illinois, I spent 8 years in frigid Minnesota with little radio activity. That is the genesis of WBØRLD. It wasn’t until 1979, when we moved to the Seattle area, did I pick up Ham Radio where I left off. My job in sales kept me in my car a lot so I purchased a TS-120S and mobiled all over the Northwest for several years. That came to an end, though, when my company cars started having more plastic than metal. In my home hamshack, however, I was busy driving my 4-1000 with the TS-120S and a matching remote VFO. I came upon a beautiful pair of 4-400’s in a very nice case so I traded the 4-1000 for a utility trailer. (see picture) I also became interested in antennas for my favorite 40 mtr activity. I installed a phased inverted Vee system that worked phenomenally. The low sunspot cycle of the late 80’s and early nineties, along with a location change, put my operating time at a standstill. It wasn’t till I met a couple of radio enthusiasts at a friend’s party in 1998, did I ask about hamfests and if they still took place. I started to go to several of them and got my first BoatAnchor, a Hammarlund HQ-140XA. That opened the floodgates of BA activity. See the following pages for proof….